Make sure your beloved pets are happy and healthy with periodic care from Live Oak Veterinary Clinic in Moncks Corner, South Carolina. 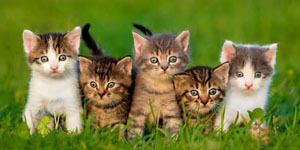 You can always turn to our animal hospital for a variety of your pets needs. We specialize in Routine Health Care and Wellness Exams, General Surgery (Competitive Spay and Neuter Fees), Advanced Dentistry, Micro chipping, Nutritional and Behavioral Medicine, Laser Surgery, Emergency Medicine and use a Certified Regional Blood-bank. To arrange your next appointment, contact us today to consult with one of our experienced staff members. 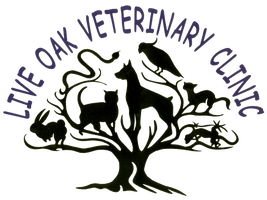 Live Oak Veterinary Clinic is an animal hospital and veterinary care center that offers animal care for common domestic pets, small animals, and exotic animals of every variety. 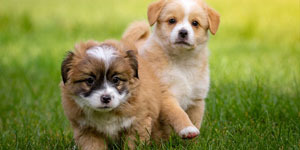 Our experienced veterinarians offer only the very best veterinary care for your beloved pets. 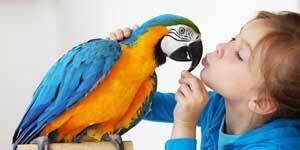 Our veterinary team is committed to providing advanced veterinary care to all types of animals, including exotic pets. The small size of our clinic allows us to provide you and your pets with the personalized care and attention you deserve. You can always turn to us for effective pet care treatments at some of the most affordable rates. Live Oak Veterinary Clinic is proud to serve Moncks Corner, SC and the surrounding areas. We are dedicated to providing the highest level of veterinary medicine along with friendly, compassionate service. We welcome all new clients to our veterinary facility. We invite you to contact us today. If you have any questions or concerns, please don't hesitate to call us at (843) 899-5476. We took our cat here Dr. Glover is amazing staff is great!!! The very best care around! The entire staff was amazing with our two beagles. We came in as an emergency and they were so caring, vigilant, and compassionate. They did everything in their power to get our dogs taken care of. Truly an outstanding place to take your pets. We started going to Live Oak Veterinary several years ago and happy we did. They have such caring Drs and staff, never rushing us no matter how busy they got and are very helpful. We have taken four pets there. It's like family!